Experts discuss best practices and why caring for your artwork matters. Protecting, valuing and maintaining artworks requires specific expertise, including knowing how to find the right specialists and how to ask the right questions in each phase of the ownership process. Join Tom O’Conner, of O’Conner & Associates Art Advisors, Susan McDonough of McDonough Fine Art Appraisals, LLC, and Rowan Geiger, Director and Principal Conservator of SF Art Conservation, for a moderated panel discussion on knowing what to ask before you buy; doing due diligence regarding authenticity, title, condition, and acquisition price; working with conservators and protecting your collection against physical risk; and managing your collection as a long-term asset. 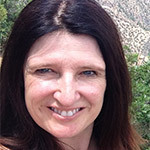 Rowan Geiger, the Director and Principal Conservator of SF Art Conservation, holds a Masters degree in Art Conservation from the Royal College of Art, London. In addition to three years in studio training at the Victoria and Albert Museum, London, she has held staff positions at the Fine Arts Museums of San Francisco; San Francisco Museum of Modern Art; Asian Art Museum, San Francisco; Stanford University Libraries and was the Head of Conservation at SFO Museum from 2008-2013. She is a Professional Associate of the American Institute for the Conservation of Historical and Artistic Works. Susan McDonough, AAA, is the owner of McDonough Fine Art Appraisals, LLC, which provides appraisal and research services for fine art. She is a certified appraiser and a member of the Board of Directors of the Appraisers Association of America. Prior to establishing her own practice, she was the Director of Publications and Press Relations at Hackett-Freedman Gallery in San Francisco. She has actively participated in art fairs such as Art Basel | Miami Beach and TEFAF and has served on the vetting committee of the San Francisco Fall Antiques Fair for the past four years. She is currently an adjunct instructor at New York University’s School of Professional Studies where she teaches a class on the “Essentials of Appraising.” Her specialized areas and periods of interest include Postwar, Contemporary & Emerging Art, Latin American Art, 19th- and 20th-century California and Western Art, and Photography. She has edited and published monographs and exhibition catalogues on a wide variety of art and artists throughout her career. 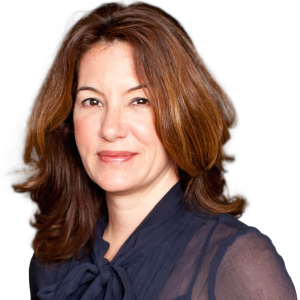 Susan is a graduate of Columbia University, where she received her Bachelors’ degrees in Art History and Latin American Studies, and has a Certificate in Appraisal Studies in Fine and Decorative Arts from New York University, New York. 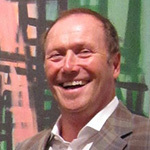 Tom O’Connor has been an art advisor for over twenty five years. In that time he has helped hundreds of corporations and individuals to acquire unique and interesting art collections. He is adept at addressing large scale and campus wide projects. Tom specializes in sourcing and commissioning monumental paintings, sculpture and artwork in other media. Originally from New York, Tom returns there regularly to visit galleries. He also attends the major international art fairs to stay abreast of the current market, ensuring that his clients receive the very best representation. To this end, Tom maintains relationships with individual artists, galleries, auction houses, and private dealers. Tom frequently lectures on art at venues ranging from colleges to client gatherings and retreats. He currently serves as a juror with the Art4Aids annual event benefiting the Aids Health Project. 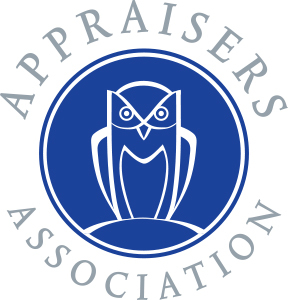 Tom is also currently an American Society of Appraisers (ASA) Candidate Member. His appraisal training at the University of California, Irvine enables him to perform appraisals of fine art objects to ensure that his clients’ collections are appropriately valued and that they do not overpay for the artwork they acquire.